Hou Canoes are a relatively new company based in the UK. They are a small company who's focus is producing good boats made by paddlers for paddlers. The Hou 13 is the smallest boat in their range, making it perfect for anyone paddling alone, with small children of even just with the dog. Being a smaller boat is also practical when it comes to transport as the hou 13 can easily be carried and lifted on to the car by just one person. Hou canoes describe the shape of the boat as "Just like the kids would draw." For the more experienced paddlers the boat has a shallow 'V' hull which gives it good primary and secondary stability and also helps it track nicely and a moderate tumble home, allowing a good efficient stroke. 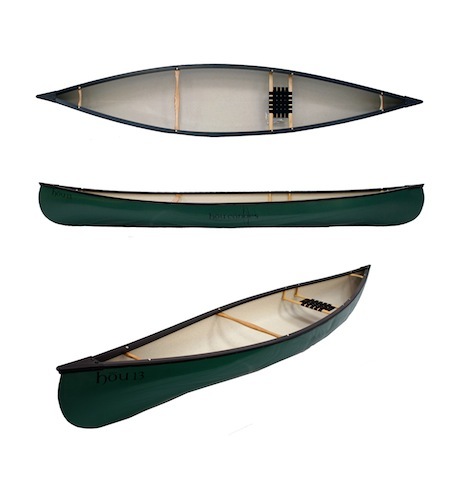 This boat is designed to be paddled on open water, lakes and rivers but can also be paddled on smaller whitewater. There's enough space for a smallish load and the boat can take up to 380 kg's, which is more than enough for a tent and all your camping gear.